After the end of the last Ice Age, as forest replaced the tundra covering much of the South Island, a clone army of female-only stick insects advanced slowly across the land. Thousands of years later, they are still holding ground against the more efficient sexual population of the same species living in the north. Associate Professor Thomas Buckley – jointly employed by Landcare Research and the University of Auckland – explains how a Marsden grant helped him discover the secret past of South Island stick insects. What do you like about stick insects? As a child I was intrigued by stick insects. Several species were very common in Wellington City including within my back yard. I learned how to identify them and when the opportunity came to research them as a BSc honours student, I leapt at the chance. After completing my PhD and Postdoc research on cicadas I returned to studying stick insects, both because they are fascinating insects in their own right, but also because they offer opportunities to understand more general evolutionary principles. The features of stick insects that are of most interest to me include their cryptic appearance, occurrence in unusual habitats such as the New Zealand alpine zone, and the presence of asexual species and populations. Stick insects seem fairly elusive. Are they difficult to study? Although many people have reported stick insects to be rare, once you know where to look they are often remarkably abundant. The best way to find them is to search their host plants late at night with a torch. Although they often become active at dusk they are more easily found well into the night. For the Marsden project we collected stick insects from dozens of sites across the North and South Islands and including offshore islands. In some areas we collected more intensively than others. 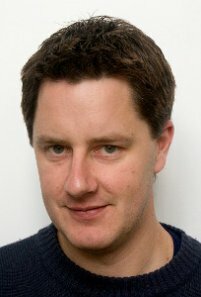 The goal of the Marsden project was to determine where several widespread stick insect species had survived during the most recent maximal glacial advance of the late Ice Age. 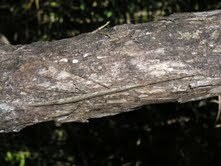 During this research we discovered several new species of stick insect that we are currently describing and naming. Where did bugs like stick insects hide out when glaciers advanced? For the Marsden project we also were studying forest beetle and cicada species to determine where they survived. This was achieved using genetic methods, where areas of survival can be inferred from patterns of genetic diversity. We also utilised ecological niche models which can infer potential and historical geographic distributions from climate data. These methods suggested that during the Last Glacial Maximum both of the stick insect species we studied were restricted to the North Island and small coastal patches in the northeast South Island. Interestingly in both cases female only populations are found in the south and sexual populations predominate in the north. This is because asexual populations seem to be more efficient at colonising new habitats that formed at the end of the Ice Age. And how does all this help you understand how much forest remained during the Ice Age? Our studies of cicadas, beetles and stick insects are consistent with a pattern where there was small forest patches scattered across the South Island during the Last Glacial Maximum. This pattern has also been inferred from fossil pollen data. Can you predict what will happen to stick insects populations in the future? Predicting the future is notoriously difficult. General evolutionary theory tells us the asexual stick insect populations on the South Island will eventually be replaced by sexual populations as the latter tend to be more resistant to environmental change. How long this will take is anyone’s guess. An area we are currently working in is predicting what will happen to these species under various future climate change scenarios.